Appu offers exotic variety of crispy and taste Appalam. This South Indian snack is usually taken along with meals. It is made of some healthy ingredients like urad flour, salt, water, asafoetida powder and edible oil. Bittel has recently unveiled new generation multimedia centre called UNOMedia 5, which combines the essential features and functions required by hotels such as Bluetooth, NFC, charging station, radio, alarm clock and hotel phone in one. UNOMedia 5 adopts high-grade aluminum alloy faceplate with elegant acrylic panel to keep consistency with the hotel’s concept and style. Premium loudspeaker with impressive subwoofer performance is definitely comparable with other mainstream speakers. Up to seven charging ports (four USB smart charging ports and one MFC cable) can perfectly satisfy the charging demands for iDevice, Android and other portable devices. UNOMedia 5 brings major changes to hotels. 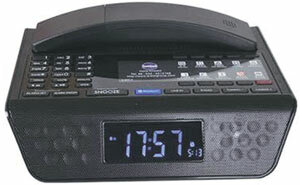 Bittel India’s partner is AV&T Hospitality Solutions, Mumbai. Inspired from the contemporary geometric shapes and patterns, Ficus Fine Living has introduced its line of lights and candle stands. Embracing the current trends with create a unique look at your property. The exclusive collection from Ficus Fine Living is a must have for any classy and vintage lover which will enrich any living space. The lights and candle stands are one-of-its-kind and a perfect match. Classical décor styles reworked by contemporary designers to give a cutting edge feel to it, adds a sense of panache and eclecticism that goes wonderfully with up-market stylish homes. Faber has recently launched a built-in coffee machine. Select the variety of coffee, cup size and operating mode of service or self-service or individually. 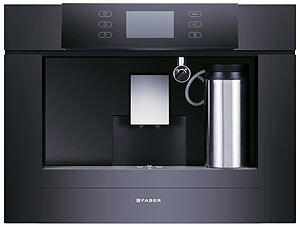 With Faber coffee machine, making coffee, cappuccino, latte macchiato and hot chocolate is wonderfully easy. Faber’s built in coffee machine is extremely simple to use: A single touch is all it takes to serve up wonderful coffee, milk creations etc. The quick and easy preparation is unbeatable in self-service operations. 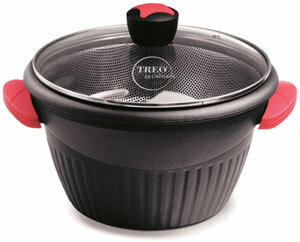 Treo, one of the three flagship brands of Hamilton Housewares, has launched La Culinaire steamer and multipurpose cooking pot, a two-in-one ultra-modern die-cast cooking pot. The premium stainless steel strainer maintains moisture, softens food fibres and retains freshness, making it durable for everyday use and perfect for an Indian kitchen. This multipurpose novelty steams veggies and meat to perfection in no time. It makes food tender and easy to digest. The cooking pot also comes with a detachable silicon coated grip for comfortable handling along with an elegant knob with silicon coating for easy lifting and a borosilicate glass lid to monitor what’s cooking inside.